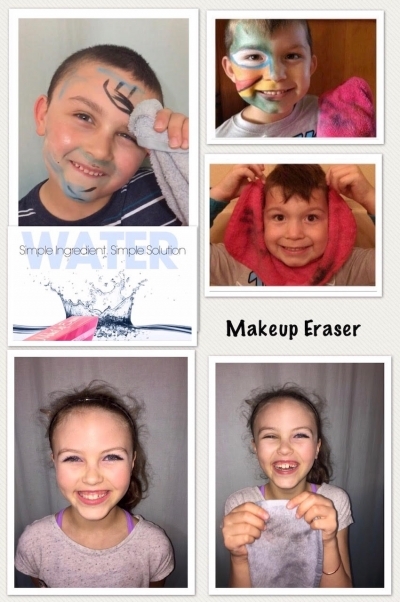 Makeup Eraser is a simple and easy way for kids to clean their skin-remove dirt, watercolors, markers, any makeup, using only water. This cloth is so soft and is perfect for their sensitive skin. No chemicals needed-no soap to dry the skin or burn their eye-NO MORE TEARS! This product is awesome! I've used it many times and it really does work!! !